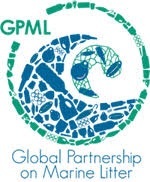 ReelCycle is pleased to join the Global Partnership on Marine Litter (GPML). The GPML is a partnership for international agencies, governments, businesses, academia, local authorities, nongovernmental organizations and individuals and seeks to protect human health and the global environment by the reduction and management of marine litter as its main goal, through several specific objectives. To reduce the impacts of marine litter worldwide on economies, ecosystems, animal welfare and human health. To enhance international cooperation and coordination through the promotion and implementation of the Honolulu Strategy - a global framework for the prevention and management of marine debris, as well as the Honolulu Commitment – a multi-stakeholder pledge. To promote knowledge management, information sharing and monitoring of progress on the implementation of the Honolulu Strategy. To promote resource efficiency and economic development through waste prevention (e.g. 4Rs (reduce, re-use, recycle and re-design) and by recovering valuable material and/or energy from waste. Increase awareness on sources of marine litter, their fate and impacts. The GPML was launched during the United Nations Conference on Sustainable Development, Rio + 20 in June 2012. It builds on the Honolulu Strategy, a global framework for tackling marine litter, which was presented at the Fifth International Marine Debris Conference held in Honolulu, Hawaii in 2011. The United Nations Environment Programme provides the Secretariat for the GPML in line with the mandate received in the ‘Manila Declaration on Furthering the Implementation of the Global Programme of Action for the Protection of the Marine Environment from Land-based Activities’.